US 74's westernmost mileage is spent on a hidden duplex with I-75. 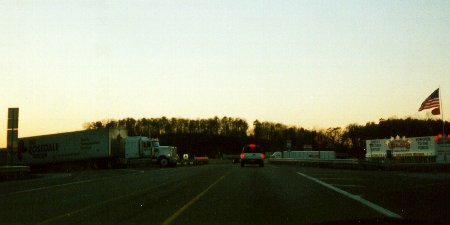 This point, where US 74 (and BYPASS US 64 too) meets I-75 near Cleveland, TN, is the westernmost signed location on US 74. Photo by Adam Froehlig, taken late November, 1999. 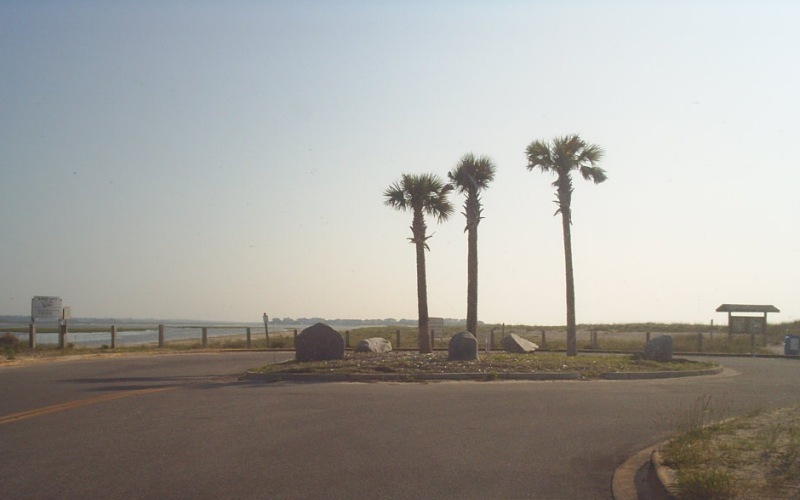 The eastern terminus is at a turnaround at Wrightsville Beach without any signage present. Photo by Doug Kerr, taken May 28, 2006.